The department of Remote Sensing of Atmospheric Processes deals with the space-borne and ground-based remote sensing of aerosols and clouds. Key topics are the investigation of processes that determine the life cycle of clouds and their interaction. The experimental and theoretical work of our research group is dedicated to the developement and application of measuring instruments for remote sensing of atmospheric processes. 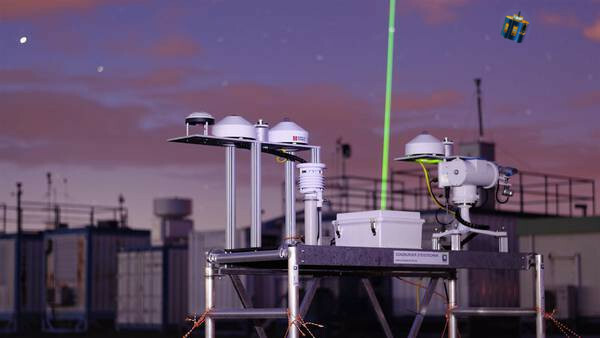 Our activities are aimed at the determination of optical and physical properties of aerosols and clouds as well as at the assesment of the general atmospheric state parameters (temperature, wind, moisture). We apply various optical measurement methods which are specifically useful for tropospheric monitoring. The working group for satellite remote sensing utilizes satellite observations to investigate the physical properties of clouds and aerosols, and their influence on solar and terrestrial radiation. The focus is on passive multisprectral measurements and geostationary satellites, especially METEOSAT. These instruments allow a detailed analysis of the temporal development of the atmosphere.